For a signed copy, click below to buy now. 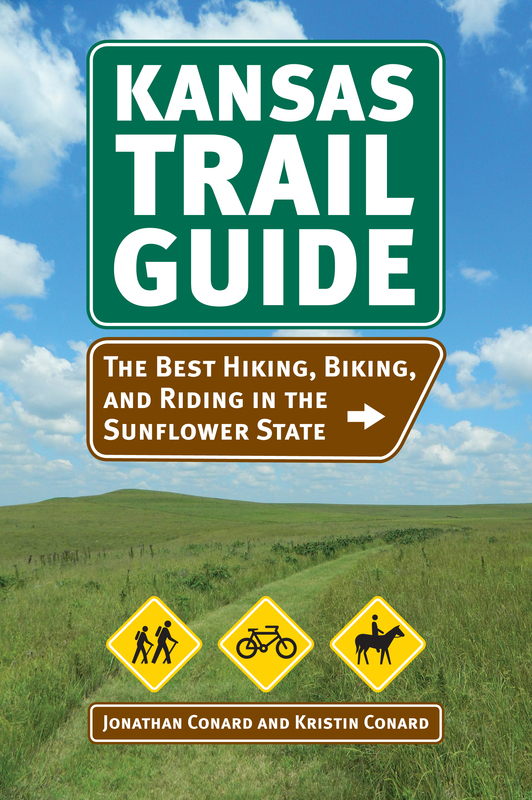 Kansas Trail Guide: The Best Hiking, Biking, and Riding in the Sunflower State has been published! The book includes detailed descriptions of the best trails across Kansas by geographical area, including GPS information, how to get to the trailheads, where to park, which trails are open for cyclists, hikers, and/or horseback riders, suggestions for nearby outfitters and restaurants, and for the long distance trails or as applicable for the shorter trails, the best options for camp sites nearby and along the way. Will this book also have trail maps for all of the trails? There will be detailed maps with GPS coordinates for the featured trail(s) in an area with clear explanations for any additional trails. For example, at Shawnee Mission Park, the orange loop will be mapped with GPS details, and the additional loops that can be added on to the trail to make it longer will be described. Looking forward to the book. Thanks for all you time and effort. We can’t wait for the hard work to pay off with the final version in stores! We’re glad you’re excited for it! Is there a way of getting a copy of this book for the Hugoton Area Chamber of Commerce? You can get one at our website here or reach out to the publisher University Press of Kansas.